MRI is a non-invasive imaging technology that produces three dimensional detailed anatomical images without the use of damaging radiation. It is often used for disease detection, diagnosis, and treatment monitoring. It is based on sophisticated technology that excites and detects the change in the direction of the rotational axis of protons found in the water that makes up living tissues. At 70cm wide, our MRIs are large enough to easily accommodate patients up to 500 lbs. in comfort. The open design helps alleviate feelings of claustrophobia in patients of all ages and provides a great range of motion for patients when trying to capture specific images. The advanced technology provides a quieter environment which allows us to capture high-quality images in less time, so your exam will be smoother and easier. Our MRIs capture the most clear, detailed and precise images to help them make a proper diagnosis for you. At Good Samaritan Hospital our team of radiologists and technologists work together to provide you with the best possible experience. 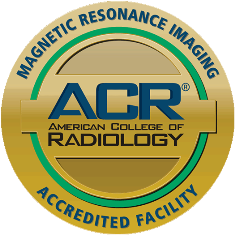 All radiologists who interpret MRI results have completed imaging fellowships specific to MRI. That means, they spent an extra year studying this field to become experts. Open seven days a week, 7 a.m. to 7 p.m.
You’ll need your insurance information, the prescription for the procedure from your doctor (a phone order from your doctor is acceptable, too), and a referral if your insurance requires it. For most exams, you don’t need special preparation, and you can eat and drink lightly prior to the exam, and take any of your prescribed medications. For certain exams, you cannot eat or drink for four hours before your scheduled exam. In these instances, we will give you instructions when you schedule with us. Please be sure to inform the scheduler as certain allergies may require you to be pre-medicated. Before your MRI, we will ask you to change into an examination gown. We will also have you remove watches, removable dental work, hearing aids, hair pins, glasses, wallet and all jewelry (locker will be provided). Just before your exam, we’ll ask you questions about your medical history and possible contraindications. A technologist will explain the exam to you and what to expect. Please don't hesitate to ask questions. With most MRI procedures (there are some exceptions) you may listen to music. We have many satellite stations for you to choose from. The most important thing to do during your MRI exam is to remain as still as possible. This allows the technologist to get the best possible images. An MRI exam involves close surroundings. If you feel uncomfortable in these situations, you should ask your physician to prescribe something to help you before arriving. If he or she prescribes sedation medication for you, please follow your physician's and/or medical provider's recommendations and instructions carefully. While the MRI exam itself is painless, you may need an injection of contrast material part way through the exam to obtain additional information for your doctor. While the majority of patients do not require this injection, occasionally it may be necessary. Approximately 30 to 60 minutes. During the exam, you will hear a loud knocking sound like a drum beat. The technologist will speak to you intermittently during the procedure. It is imperative to remain still at this time. When the scan is finished, the images will be reviewed for quality. Please know, the technologist will not discuss the results with you. A radiologist will study the images and report the results to your physician and/or medical provider. We promise to make your MRI as seamless and as pleasant as we can.